Indonesian Independence. During the colonial period, Semarang served as the VOC city, which is why today you will find Dutch influences in the architecture of the city. Other than its beautiful architecture, Semarang is also known for the food, cultural diversity and interesting tourist attractions. 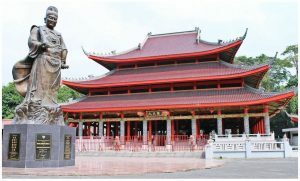 One of the most famous landmarks in Semarang, Sam Poo Kong is the oldest Chinese temple in town built by Chinese Muslim explorer Zheng He. It’s located at Jl. Simongan No. 129. 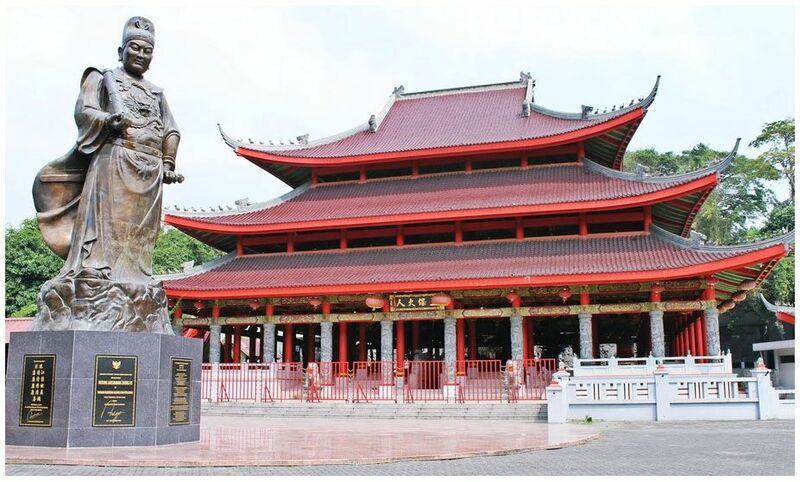 Inside the compound that occupies more than three hectares of land, there are five temples that boast Chinese and Javanese architectural styles namely Sam PoovKong, Tho Tee Kong, Kyai Juru MudivTemple, Kyai Jangkar Temple and Kyai Cundrik Bumi Temple. There’s also an additional worship site called Mbah Kyai Tumpeng located inside the compound. Sam Poo Kong serves as the place of worship for those who hold Confucianism belief, furthermore every lunar year,von the 30th day of the sixth month,vSemarang celebrates the anniversary of Zheng He’s arrival, on this day Chinese Indonesians would parade statues of Zheng He, Lauw In and Thio ke from Tay Kak Sie to Sam Poo Kong . 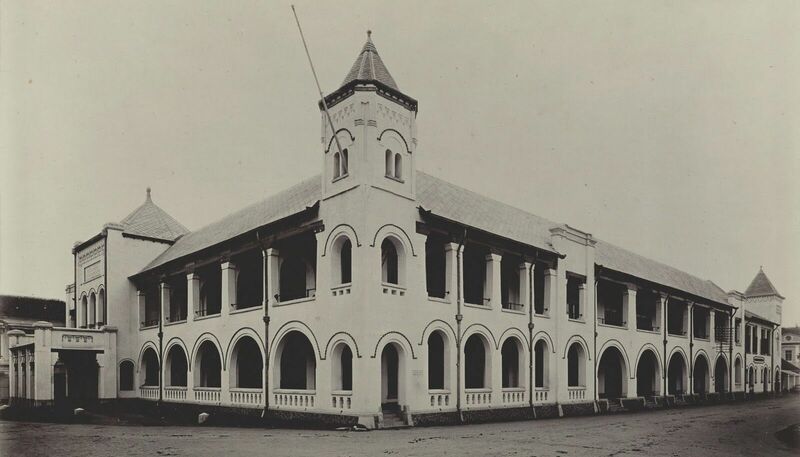 two main ones are called building A and B and two smaller ones are called building C and D. This place now serves as a tourist attraction, rumor has it that Lawang Sewu is haunted. There are tour guides available at the building’s entrance, for those who are searching for some paranormal experience, the building’s underground jail might be worth visiting. 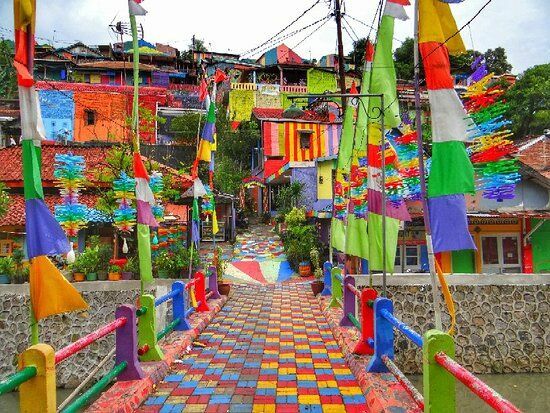 Rainbow Village. 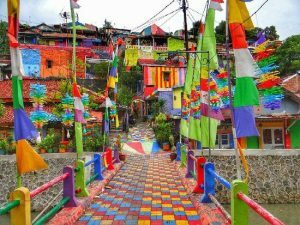 The place is located in the southern part of Semarang and houses 232 homes painted in bright eye-catching colors set in two community units. Located in the city center, Simpang Lima is a large square and shopping district that comes alive at night. You can find everything here from restaurants, shopping centers and hotels. When the evening comes, visitors can tour around the area, rent a decorative bicycle or hail a decorative becak (pedicab). Originally published in 3S Magazine (Sampoerna Strategic Square) edition, May-August 2018.